A while ago, I was trying to create an animation that had circles oscillating around a fixed axis. Along the way towards getting that working, I ended up creating something a little bit different. 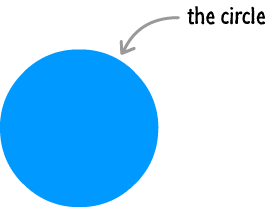 That different something is what I call Amorphous Circles, and you can see it below. Exactly fifty circles that are individually barely visible run over each other to create the blob-like effect that you see. This animation is a great example of what happens when you accidentally let some code run wild in your browser, but even accidents can teach you something valuable. In this short tutorial, let's quickly look at the various tricks involved in creating this animated effect. I won't deny it. Yes, this is like a lot of pre-requisite reading if you want to fully understand what is going on. If you look closely at the overall animation, you only see a slight glimpse of this kind of movement. The reason is that, while a single circle moving circularly is pretty boring, things get pretty interesting when you get a lot of circles moving in a circular path. To make this ensuing chaos not look horrible, each of these circles has a different size, movement speed, and rotation radius. This looks kind of messy, but that is because a static picture of this effect is a weak substitute for the real thing. In the next section, let's look at how the actual effect with all of its animation-ness works. Now that you've already seen how this effect works, the code is reasonably straightforward. 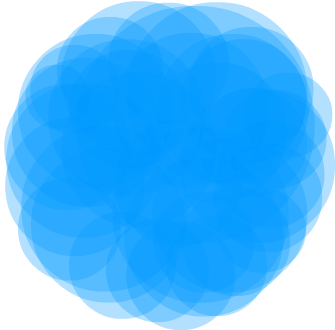 In a nutshell, your code draws each circle, updates each circle's position, clears the screen, and starts all over again. This sounds pretty simple, and it is despite what may seem like a large amount of code. // call the draw function again! Take a few moments to look through this code. If you followed some of the recommended pre-requisite tutorials I listed at the beginning, everything here should look familiar. If things don't look familiar, that's OK was well. We'll quickly walk through the code in the following sections. 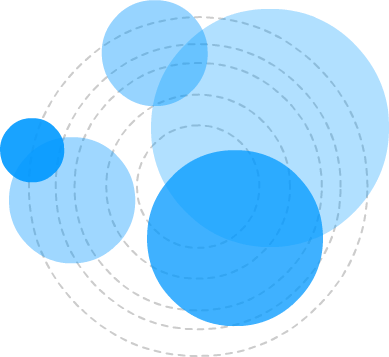 As its name implies, this function's job is to create the Circle objects that ultimately result in each circle that you see drawn on the screen. You can see all of the properties that we define - properties that end up affecting how each circle looks or moves. Once this for loop has run to completion, what you have left is 50 Circle objects that each can be accessed via our circles array. Keep the memory of this array on your fingertips. You'll run into it a few more times. This Circle constructor that creates our Circle objects is nothing more than a collection of properties whose values are what gets passed in. 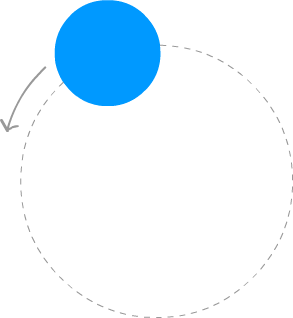 These lines of code ensure each Circle object contains a property and value for angle, sign, radius, rotationRadius, initialX, initialY, and incrementer. If what you see here looks a bit strange, read the Drawing Circles on a Canvas tutorial when you get a chance. The draw function is responsible for clearing your canvas, going through each Circle object in the circles array, and calling the update function on each Circle object. Because this function is also the target for your requestAnimationFrame function, this function gets called around 60 times a second. If there was ever a tutorial that touched upon so many different animation-in-code concepts, this one takes the cake. If you know almost everything about what every line of code in this animation does, consider yourself ahead of the game when it comes to understanding how animations in code work.